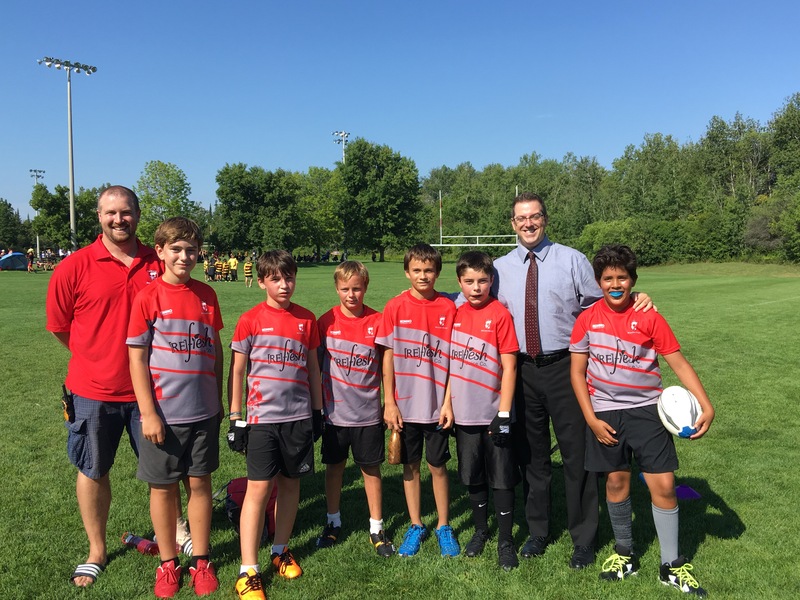 #Guelph’s 1st Rugby Tournament Was Fantastic! Way to Go @GuelphRugby! 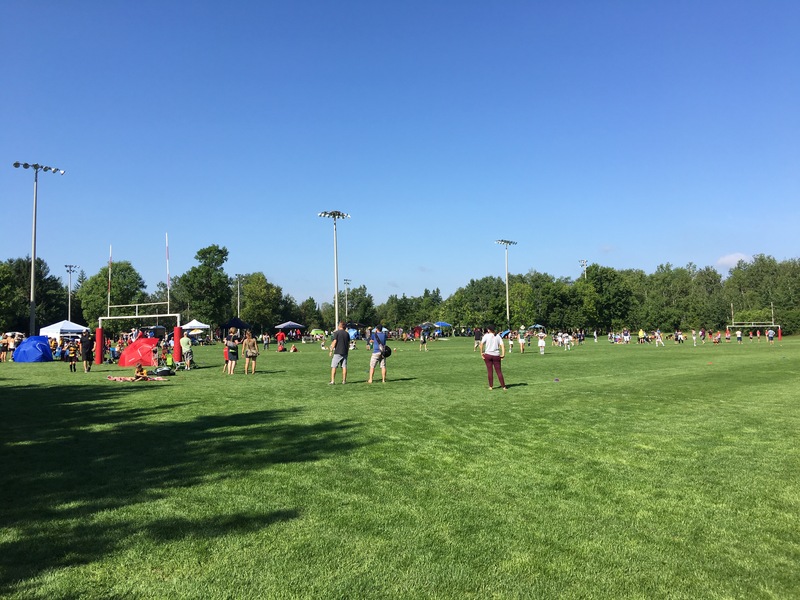 Saturday couldn’t have been a nicer day to welcome approximately 500 people into our city for the Guelph RedCoats to host the city’s first rugby tournament! There were 44 teams from 10 different cities! The fields looked great and there were happy Guelphites and visitors everywhere! 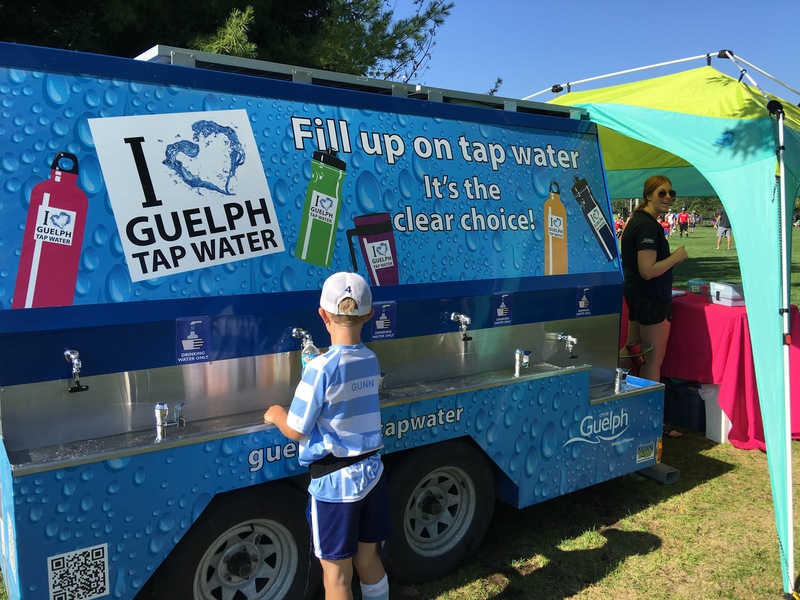 Our city really stepped up in also providing our water wagon! Which, might I add, many of the visiting parents and teams were taking pictures of to send back to their hometowns as an idea for them to implement! The minis / rookie rugby group is in its third year (all under 12 years of age). They’re growing by leaps and bounds each year in terms of numbers. This year, Redcoats fields a complete U12 team, a complete U10 team and on a good day two U8 teams. It was nice to meet Jeremy Nicholls, a board member, who took me around the fields to explain what was happening and introduce me to the kids! Guelphites have previously been forced to travel to join other teams. Parents and players are always excited to find out that the local club is now there for them – locally. It is not only the younger kids but the entire club that is growing. Since the Redcoats Rugby Football Club was established, many of Guelph’s U18 boys are coming home from other cities to join their local team. 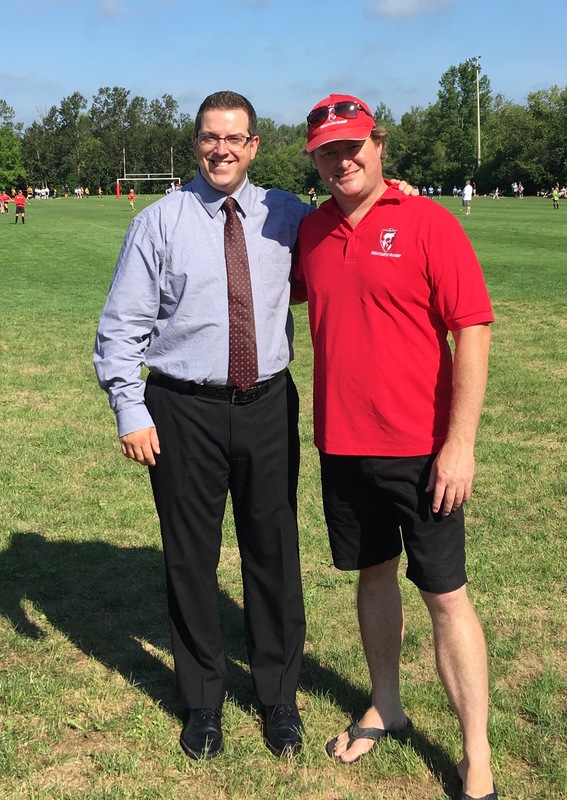 The sport of rugby is growing all across Canada and I’m glad #Guelph is getting in on this sport and welcomed people to our city for tournaments. This is a big part of our tourism strategy that we need to embrace in Guelph! ← Work in #Kitchener Begins for Highway 7 (Between #Guelph & Kitchener) Soon!